Original Chromo lithograph portrait card. Odessa 1904. Size 112 x 155 mm, or 4 3/4" x 6 1/2"
Army during the Russo-Japanese War. 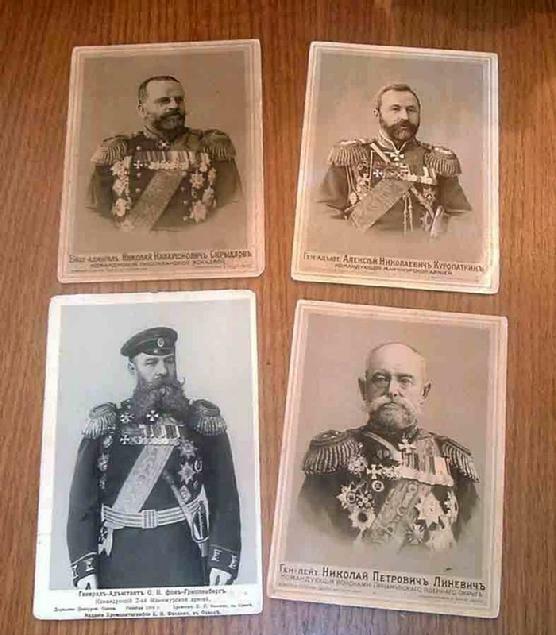 Original portrait lithographs depicting Imperial Russian Generals. on the back. These were published in the city of Odessa in 1904.